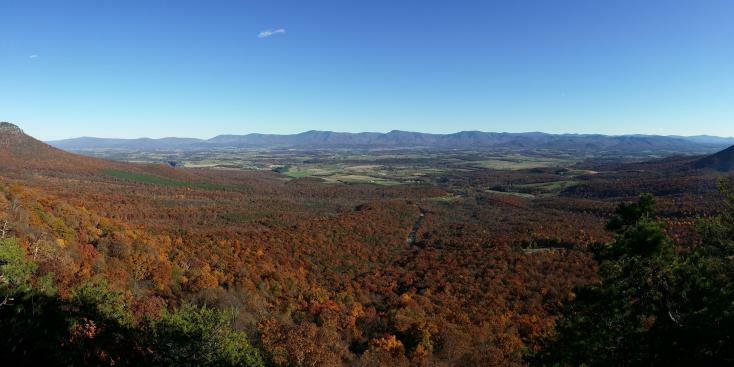 Fall in the valley Taken by Kevin Price of Stanley VA. Photo is from the Massanutten mountain overlooking the Shenandoah Valley and the town Luray. A new and more high-tech Virginia travel guide is now available. The Virginia Tourism Corporation says that for the first time, the guide is available for download through three leading app stores -- Apple iTunes, Google Play, and Amazon. It also can be found on the corporation's website. The corporation says the digital edition includes features like animation, sound, more than 1,000 hotlinks to external resources, and 17 videos about Virginia. Travelers who still like to do their vacation planning the old-fashioned way can order a print copy of the guide. The print and online copies can both be found at http://www.Virginia.org/TravelGuide.